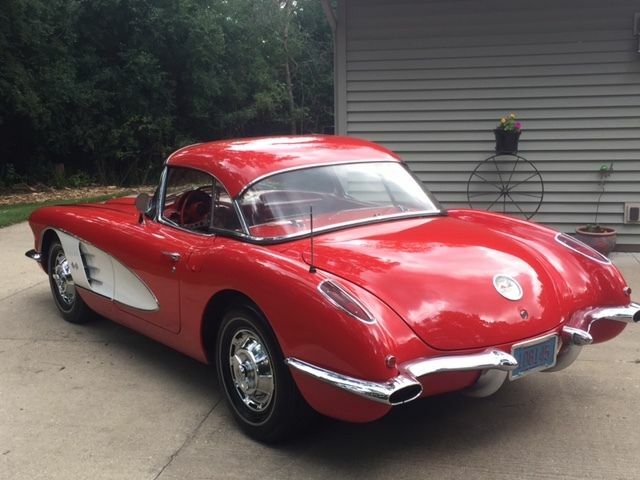 For sale is a very clean 1959 Corvette. This is an excellent DRIVER Quality car. The frame and complete underside of the car , as well as the body are all EXCELLENT. Body is straight and ALL wheel opening edges as well as rocker edges are extremely clean. The frame is simply awesome. Either the car had a very nice restoration when painted with lacquer roughly 20+ years ago, or it was an extremely clean survivor. The paint is in good condition in most areas with the worst spots being across the center of the hood and front fenders being hazy from checking aged lacquer paint. 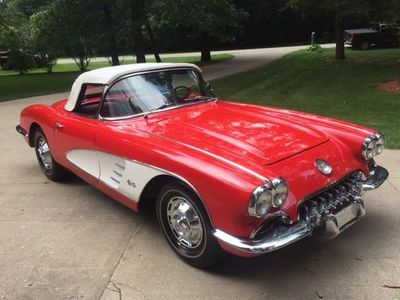 The car includes a very nice hardtop as well as a near new white soft top, albeit probably 20-ish years old. 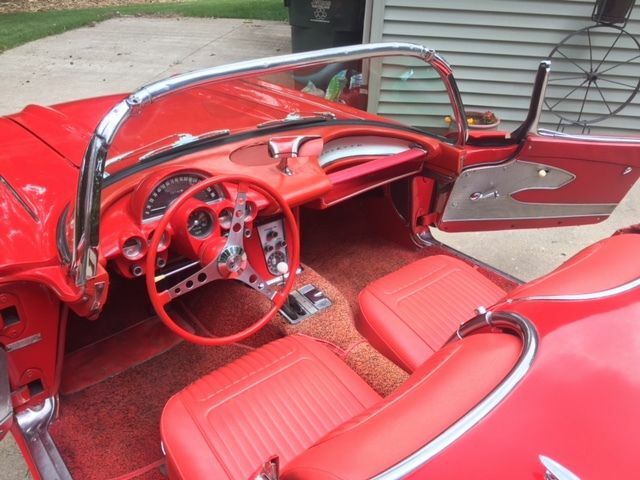 Interior is very nice with some sun fade to the exposed carpet pieces (car spent almost the last 20 years with the top down) and a few spots of discoloration to the door panels. All else is excellent. ALL Gauges work as does the aftermarket Cassette player, the only non-stock style accessory. Wheels were just added, rims are NOT date code correct for the car and the hub caps are very nice quality NEW reproductions. Tires are older and should be replaced with some correct wide whites.